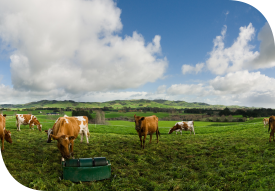 Those farmers directly affected by Mycoplasma bovis are in an unenviable position. Others have become increasingly aware of their vulnerability to the infection and will take whatever steps necessary to mitigate that risk. In regions where the disease was first detected, we have already seen how that impacts on the market. Farmers become understandably cautious about any purchase, including land, that might expose their herd. Containment is the key, as the comprehension arises that having control over your own stock becomes the primary focus. As plans to eradicate the disease progress, farm management practices will adapt and markets will react. Purchasers will closely scrutinise listings and vendors may require documentation demonstrating they are free of the disease. Sales may be more protracted and farms without adequate documentation could be discounted. Farms offered for sale as a ‘going concern,’ with stock remaining on-farm for the new owner, could become more common. Particularly motivated vendors may offer to share the risk with purchasers, leaving some equity in the farm until the extent of the infection is clarified. Established farmers seeking to ensure a dairy operation stands fully alone will purchase their own run-off support blocks rather than graze cows on properties where they have less control. Those farmers who lose infected herds and receive compensation will reassess their future involvement in dairy, and make property ownership decisions accordingly. It will take several months for the dairy sector to adjust to the infection and the eradication programme. Do not expect the rural property market to adapt to this disruption until late 2018 or into the first quarter of 2019. While it is scant consolation at this point, farmers can take some solace in the recovery of the kiwifruit sector from the previous major biosecurity crisis New Zealand suffered, the Psa outbreak in 2010. This took growers around two years to reconcile to but, since then, their prospects have gone from strength to strength.